Internet telephony firm Vonage has been hit with a $69.5 million (£34.6 million) fine after a court ruled that it had infringed on patents from telecoms firm Sprint. The fine amount is equal to 5 per cent of Vonage's revenues over the period in which it infringed on Sprint's patents, the Kansas City federal court stated. "We are disappointed that the jury did not recognise that our technology differs from that of Sprint's patents," Vonage chief legal officer Sharon O'Leary said in a statement. She added the company will appeal against the court ruling. "Vonage has already demonstrated that it can keep its focus on customers and on its core business while managing ongoing litigation," said O'Leary, referring to the ongoing Verizon case. 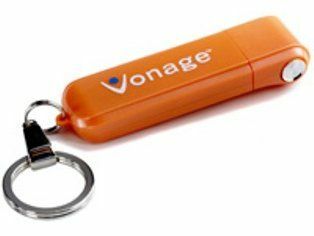 At the beginning of 2007, Vonage was found guilty of infringements on Verizon's intellectual property and was forced to pay $58 million (£28.8 million) in damages as well as 5.5 per cent of all future revenues to the firm. That case is currently under appeal.